Calculus and plaque are two of the most common words in the dentistry vernacular. You’ll also hear these terms on ads, as various companies espouse that their toothpaste ‘removes calculus,’ ‘prevents plaque build-up,’ and so on. But, what exactly do these words mean? Understanding these terms is vital in creating the type of oral care routine that will prevent both from building up. What is Plaque and What Does It Do Your Teeth? Plaque is a sticky and soft substance made of food debris that settles on your teeth after you eat or drink. Plaque formation happens continuously throughout the day, in fact, plaque begins forming on your teeth as soon as you finish brushing. Brushing and flossing do remove plaque, which is why a regular cleaning routine is so vital in preventing build-up. You’ll know if you’re dealing with a build-up because a layer of yellow gunk will form on your teeth, which is both unsightly and unhealthy. Generates toxins which can cause gum disease and inflammation. What About the Effects of Calculus On Teeth? Bleeding when brushing or flossing. This is generally painless, masking its nature of disease as most people ignore bleeding when cleaning. As the calculus forms in between the teeth and gums, it provides the perfect breeding ground for bacteria. If it is not cleaned off regularly, detachment between the gum and the jaw bone occurs, this will further aggravates and progresses to a more severe form of gum disease, called periodontitis or advanced gum disease. The immune system tries to neutralise the infection by attacking both the gums and the jaw bone. If left untreated, tooth loss will occur. So, What Is The Difference Between Calculus and Plaque? The significant difference is in the consistency. Plaque is soft and can be removed by brushing and flossing, while calculus needs to be removed by a professional. You also need to be aware that despite regular home cleaning, spots of plaque will remain on your teeth. 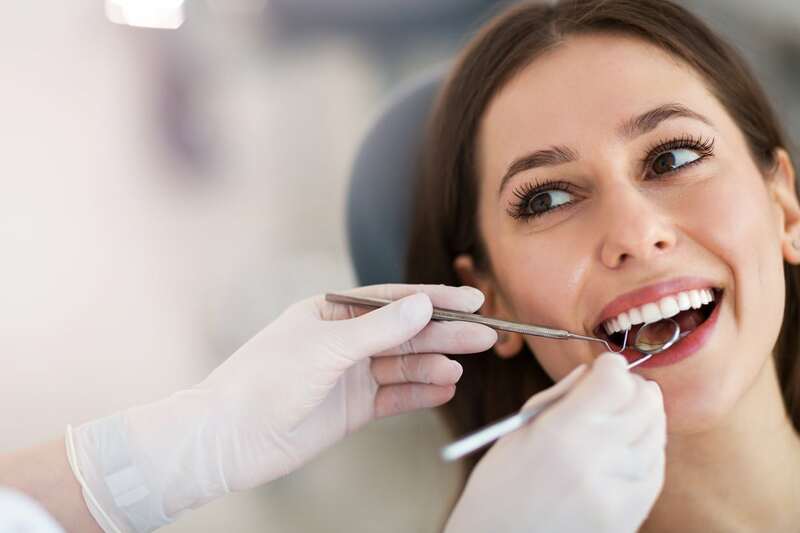 There are some parts of your teeth and gums that you just can’t reach, or clean effectively, which is why it’s so important that you visit your dentist. You need to visit your dentist every six months for a scale and clean as this is the only guaranteed way to remove all plaque from your teeth and prevent calculus build-up. If calculus has settled along your gum line, it can be removed by a basic scale and clean. However, if it has moved to the root surfaces, it can only be removed by root planning. This is a form of deep clean, which utilises ultrasonic scalers and periodontal curettes. You need to use fluoride, anti-plaque toothpaste – your dentist will be able to suggest the best toothpaste for your needs. An electric toothbrush may be the best option for you. They are incredibly effective at removing plaque and do a lot of the hard work for you. Just make sure you change the head every three months. Make flossing a regular habit. Your toothbrush can’t remove the plaque in between your teeth, and that plaque causes the most damage. It is estimated that we can leave up to 35% of plaque in our mouth by not flossing! If you’re a smoker, here’s one more reason to quit. Smoking increases the risk of both plaque and calculus accumulation and exacerbates the severity of gum disease. Certain types of mouthwash can also be helpful in removing any excess bacteria that remains after brushing and flossing. Controlling plaque and calculus is in your hands, but you can’t do it yourself. Make a commitment to visiting your dentist every six months so you can remove those little bits of plaque that can become a huge problem.